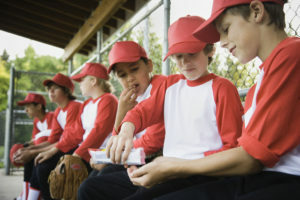 What to eat before a game? For athletes, meals before a big game, important match or athletic event are an important part of their performance. So while it may be tempting to have a quick and easy meal before athletic activity, there are some things to keep in mind. By eating smart before an event, you can avoid low blood sugar and its symptoms, which include dizziness, nausea, fatigue, muscle weakness, blurred vision and indecisiveness. The right foods can also help settle the stomach by absorbing gastric juices and preventing the distraction of hunger. And perhaps most important, they can increase your muscle glycogen stores for maximal energy. It takes time for the body to properly digest food, so try to eat your pregame meal three to four hours before a practice, game or performance. A small, carbohydrate-rich snack just one hour before exercise also is a good idea to provide your body with an additional source of fuel. Some athletes are unable to eat before events. If this is you, be certain to eat well the day before and early on the big day if possible. Starches and grains — Good options are bread, cereal, crackers, rice, potatoes and pasta. Fruit — Fresh is best, but frozen, canned or dry is OK too. Milk/yogurt — Fat-free or low-fat milk and yogurt are best. Your body breaks down carbohydrates into sugar, which you body uses as an immediate energy source or stores in your muscles for energy during exercise or in your liver. Be sure to choose familiar carbohydrate sources that you know your body tolerates. It’s also important to drink plenty of water, both the day before as well as the day of your game or event. This is the ideal way to avoid dehydration when playing sports. Avoid fatty foods such as desserts, fries or pizza. Fatty or greasy foods slow digestion, which can leave you feeling tired and sluggish. which is not ideal for an athlete facing a competition.